Have you ever heard of the Mountain Horticultural Crops Research and Extension Center? If so, you may think of apples, tomatoes, or Christmas trees. Located on a hill overlooking the Mills River valley, under the direction of Tom Ranney, the J.C. Raulston Distinguished Professor in NC State University’s Department of Horticultural Science, the center has become a regional and national leader in plant and entomological research. Certainly, you’ll find the Center’s scientists working on ways to improve the production of the crops that are so important to Western North Carolina’s economy. But during the past 28 years, the Mountain Crop Improvement Lab team has developed and introduced almost 30 new plants ranging from compact evergreen dogwoods, to big, bold ornamental grasses, to hydrangeas with bright pink blossoms. And plant introductions are just one type of new discovery coming out of the center. Today you’ll find researchers working on some surprising and even exotic projects, such as Black Périgord truffles. The Black Périgord truffle (Tuber melanosporum) is native to Provence, France, and a favorite among chefs for an intense flavor that compliments dishes featuring meats, cheeses, and eggs. Often mistaken for a mushroom, the truffle is actually part of the taxonomic group Ascomycetes. So, what is this highly sought-after, extremely expensive, and valuable gastronomic delight doing in western North Carolina? Through a grant from the Specialty Crop Block Grant Program administered by the NC Department of Agriculture and Consumer Services, Jeanine Davis, Extension Specialist on Herbs/Organics/Specialty Crops/Vegetables, and her team at the research center, evaluated and developed methods for monitoring truffle colonization in truffle orchards. After seven years of hard work in collaboration with the Carolina Truffiéres, and with the able assistance of the Truffle Dog Company, Jeanine harvested the first Black Périgord truffle in November 2017. 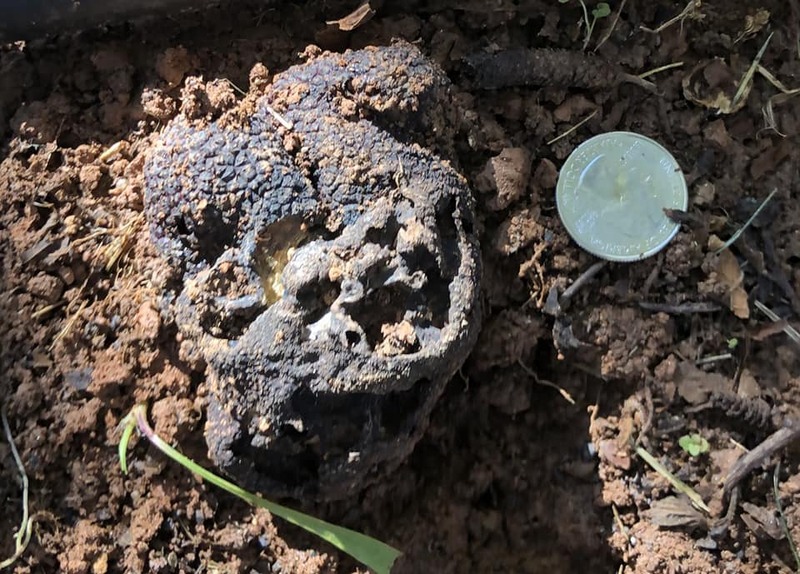 For current and aspiring commercial truffle growers in Western North Carolina and the Piedmont, this was big news and proof that this ancient and highly prized crop can succeed in North Carolina. Researchers at the Center’s Walgenbach lab, are seeking to solve age-old fruit tree and vegetable industry pest management problems. 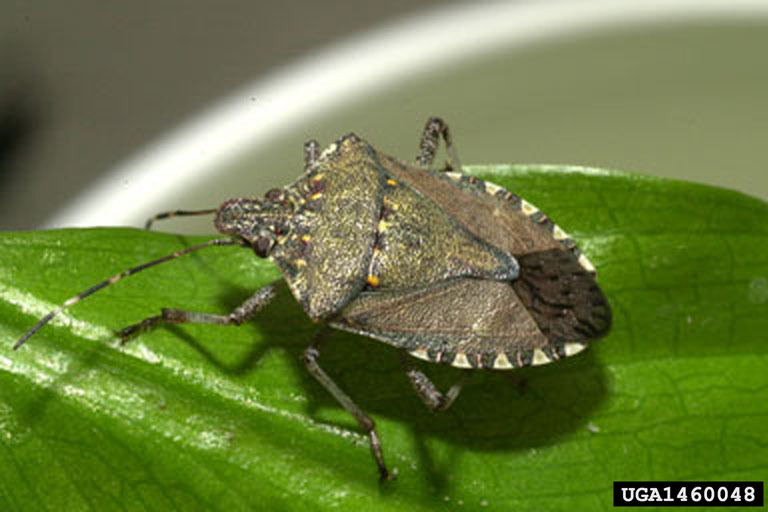 The brown marmorated stink bug (BMSB, Halyomorpha halys), for example, first identified in North Carolina in 2009, has devastated many crops, including tomatoes, peppers, corn, apples, peaches, and soybeans. Today, the lab is part of a team consisting of more than 50 scientists nationwide who are working to understand this insect’s biology and devise pest management strategies. 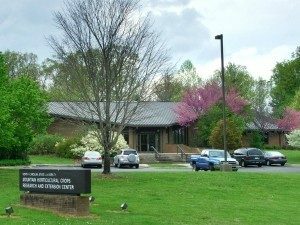 Take a little time to get acquainted with the Mountain Horticultural Crops Research and Extension Center and the scientists who are making a difference in agriculture locally and across the Southeast through the Center’s website, which is packed with timely information for home gardeners and commercial growers. In August, you may want to attend the center’s annual Tomato Day. It’s a great opportunity to hear the scientists present their research findings, learn about new varieties, taste the fruits of their labors, and return home with a bag of luscious, locally grown tomatoes. To find out more about registering to attend Tomato Day and other offerings sponsored by the center, visit https://mountainhort.ces.ncsu.edu/ throughout the year. Please click on the updated map link for travel directions to the new office.